Even through NASA’s budget cuts and scalebacks, the Mars Science Laboratory has been a work in progress for years, culminating in a launch Saturday out of Cape Canaveral, Florida. After a 354 million mile cruise through space, the MSL will land on Mars, and begin to explore the possibility of life having existed on Mars, and whether it could still exist today. 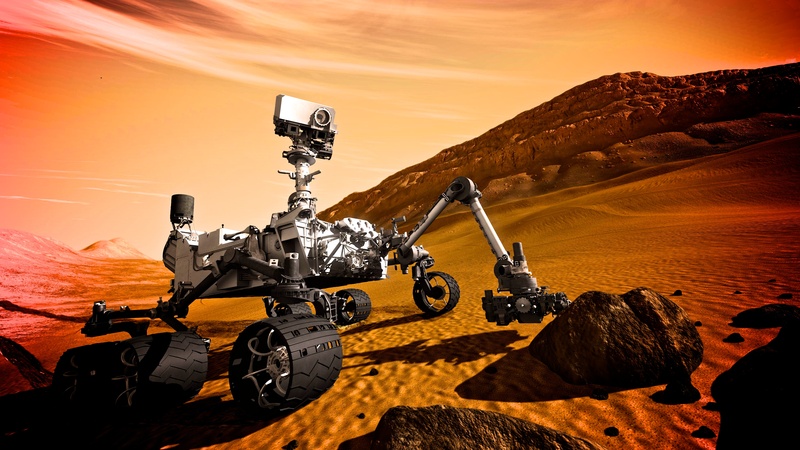 NASA’s six-wheeled, one-armed wonder, Curiosity, will reach Mars next summer and use its jackhammer drill, rock-zapping laser machine and other devices to search for evidence that Earth’s next-door neighbor might once have been home to the teeniest forms of life. More than 13,000 invited guests jammed the Kennedy Space Center on Saturday morning to witness NASA’s first launch to Mars in four years, and the first flight of a Martian rover in eight years. Mars fever gripped the crowd. NASA astrobiologist Pan Conrad, whose carbon compound-seeking instrument is on the rover, wore a bright blue, short-sleeve blouse emblazoned with rockets, planets and the words, “Next stop Mars!” She jumped, cheered and snapped pictures as the Atlas V rocket blasted off. 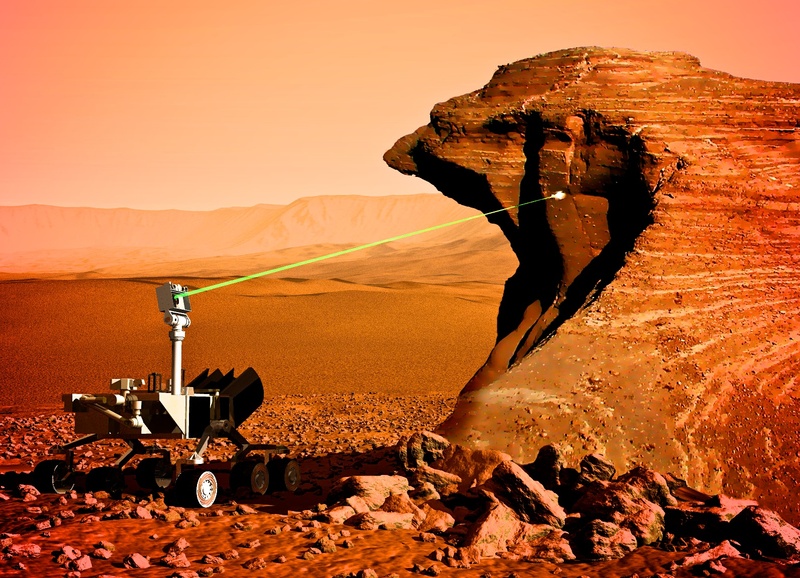 So did Los Alamos National Laboratory’s Roger Wiens, a planetary scientist in charge of Curiosity’s laser blaster, called ChemCam. Surrounded by 50 U.S. and French members of his team, Wiens shouted “Go, Go, Go!” as the rocket soared into a cloudy sky. “It was beautiful,” he later observed, just as NASA declared the launch a full success. 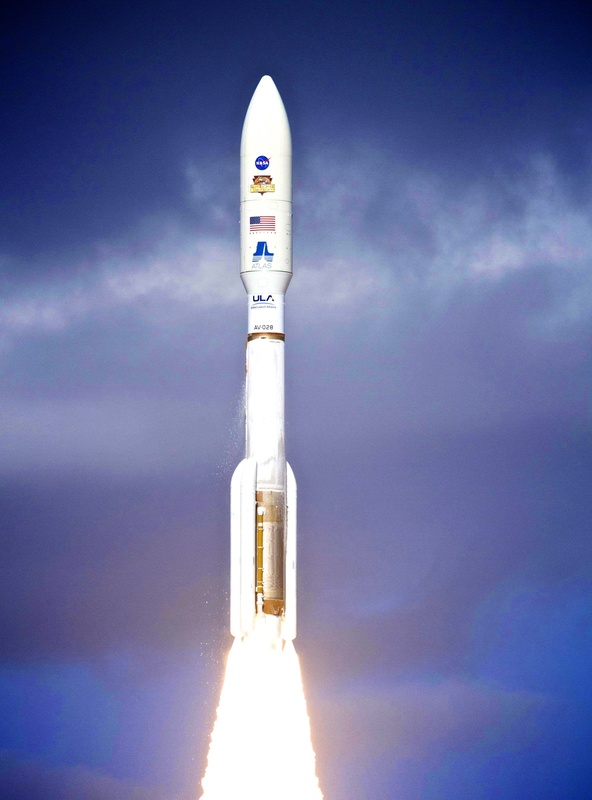 Launched Saturday, Curiosity will fly for 8 months, at thousands of miles an hour. 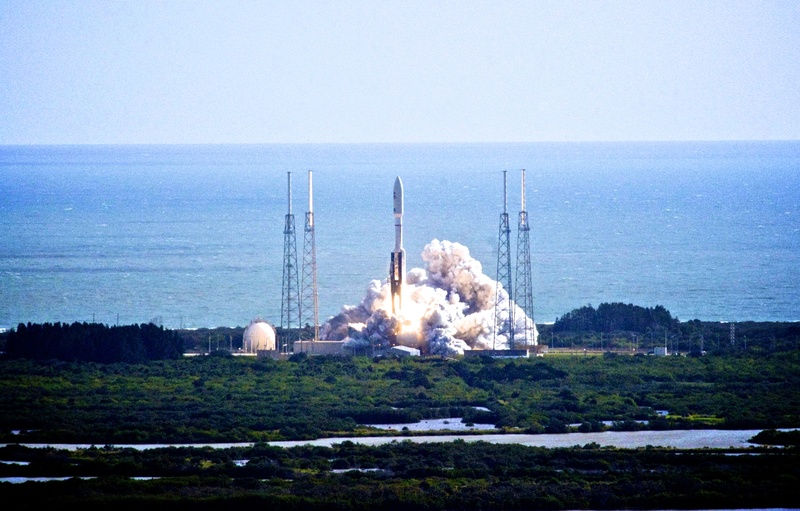 Mars Science Laboratories successful launch. 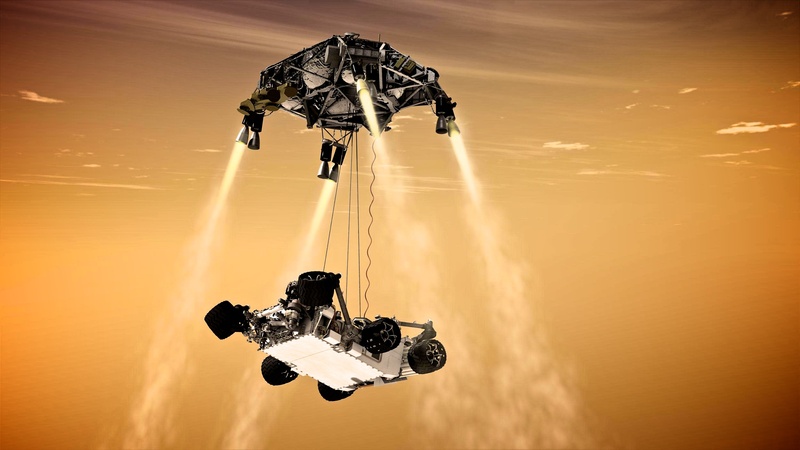 The 1-ton Curiosity – 10 feet tall, 9 feet wide and 7 feet tall at its mast – is a mobile, nuclear-powered laboratory holding 10 science instruments that will sample Martian soil and rocks, and with unprecedented skill, analyze them right on the spot. 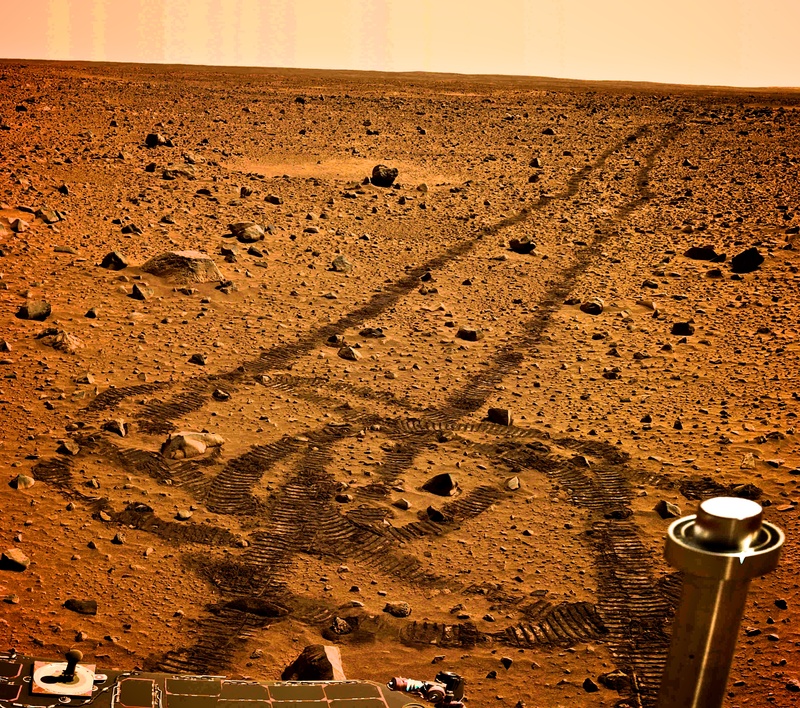 Wheels from past vehicle Sojourner, Spirit/Opportunity, and the much larger Curiosity. 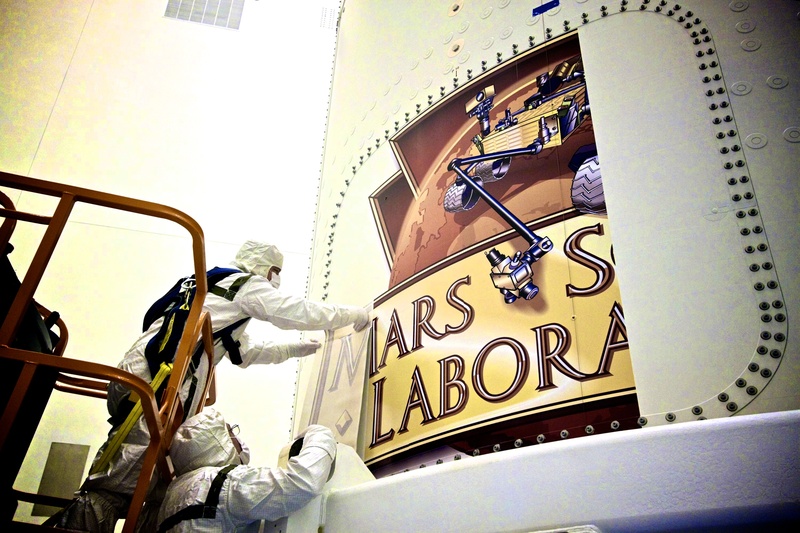 Workers applying MSL decals on the rocket. The primary goal of the $2.5 billion mission is to see whether cold, dry, barren Mars might have been hospitable for microbial life once upon a time – or might even still be conducive to life now. No actual life detectors are on board; rather, the instruments will hunt for organic compounds. Curiosity’s 7-foot arm has a jackhammer on the end to drill into the Martian red rock, and the 7-foot mast on the rover is topped with high-definition and laser cameras. 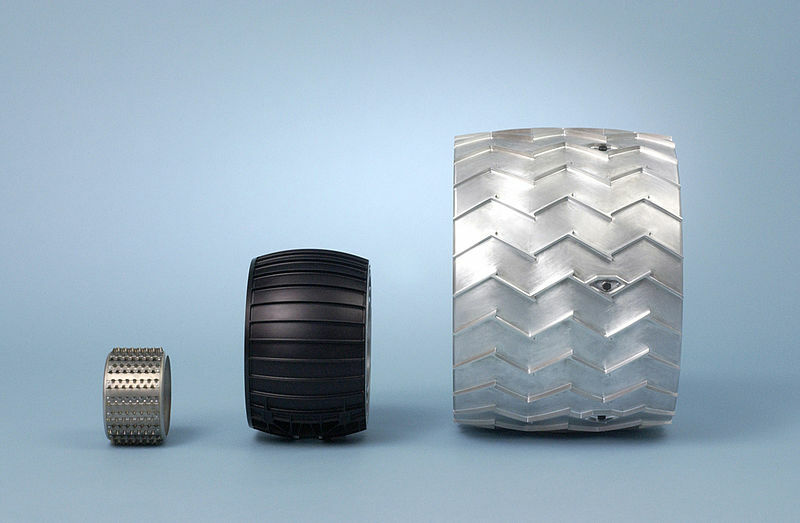 No previous Martian rover has been so sophisticated. 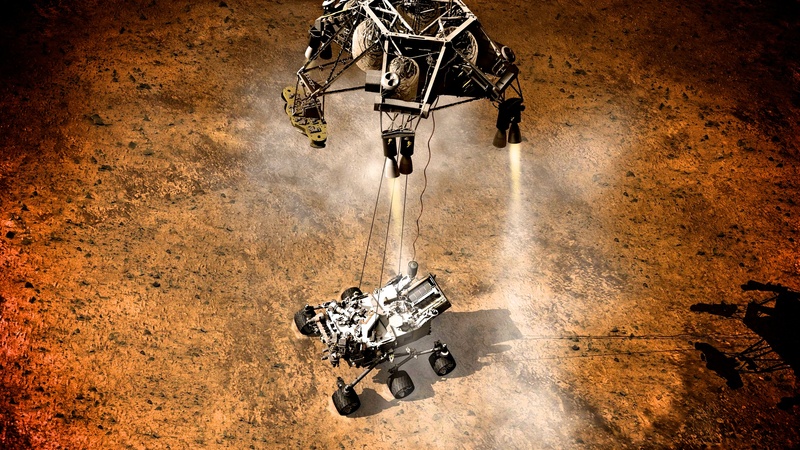 Too heavy for a conventional landing, Curiosity must be lowered from its rocket-powered friend. Never-before-tried sky crane landing for Curiosity. 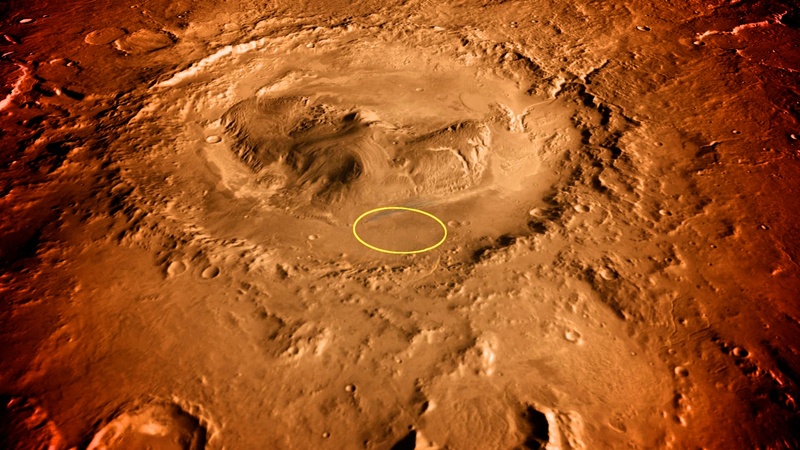 Curiosity will spend a minimum of two years roaming around Gale Crater, chosen from among more than 50 potential landing sites because it’s so rich in minerals. Scientists said if there is any place on Mars that might have been ripe for life, it may well be there. 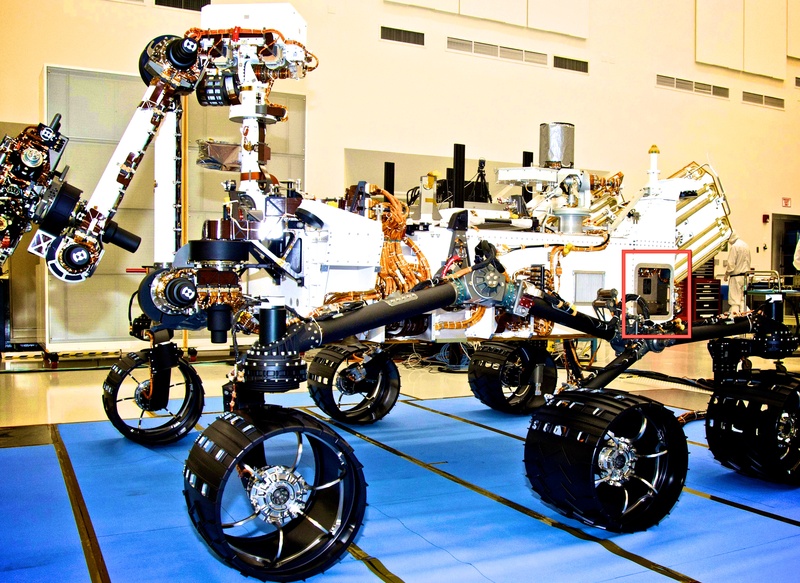 The rover should go farther and work harder than any previous Mars explorer because of its power source: 10.6 pounds of radioactive plutonium. The nuclear generator was encased in several protective layers in case of a launch accident. The “Plutonium battery” is supposed to work for a minimum of 14 years, possibly up to 18 or 20. Rendering of Curiosity exploring Mars. McCuistion anticipates being blown away by the never-before-seen vistas. “Those first images are going to just be stunning, I believe. It will be like sitting in the bottom of the Grand Canyon,” he said at a post-launch news conference. Unlike Juno and Grail, Curiosity suffered development programs and came in two years late and nearly $1 billion over budget. Scientists involved in the project noted Saturday that the money is being spent on Earth, not Mars, and the mission is costing every American about the price of a movie.